The most effective way to build muscle mass is to do a lot of sets and reps with a moderate weight, where “moderate” means 60-75% of your 1 rep maximum. 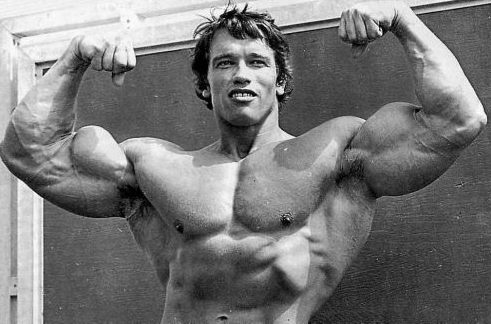 Most successful bodybuilders since the 1970’s have trained using that approach. It’s typically referred to as high volume training. Effective high volume training can also be accurately described as “a lot of hard work”. This requires using moderately heavy weights because light weights are too easy and heavy weights don’t allow enough work to be done. The main problem that people run into with high volume training, especially if they’re not accustomed to it, is recovery. Doing 35-50 work sets per session is a big stress on your body and often leads to over training, mental burn out, and overuse injuries. A smart way to avoid those problems is to cycle your training volume. My favorite volume cycling routine involves doing 1 set per exercise on week 1, 2 sets per exercise on week 2, 3 sets per exercise on week 3, etc. The routine runs 6-10 weeks, after which you take a few days off and start back over with week 1. Use whatever body part split that you like, but plan to train each body part twice per week and do 6-8 total exercises per workout. The specific split that you use and the exercise selection are up to you. Week 1: for each exercise, you’re going to do one easy warm up set followed by one set of as many reps as possible using a weight that causes failure after 15-18 reps. For most people that’s going to be roughly 2/3 or 65-70% of their one rep max. For instance, if your bench press max is 300 pounds, use around 200 pounds. If your max is 400 pounds, use around 275. If you’re unable to get 15 reps or you find that you can do more than 18, not a big deal, just do as many reps as possible and adjust the weight as needed for the next session. Week 2: you’re going to use the same weight as week one, but you’re going to do one work set of 10 reps, then rest 60-90 seconds and do a second set of as many reps as possible. The best way to keep yourself honest on the rest periods is to start a set every two minutes. For instance, if you start your first set at 6:30, start your second set at 6:32. If you rest too long between sets, you won’t get great results from this routine because the intensity of effort will be too low, not to mention it will take forever to finish the workouts. Week 3: stick with the same weight as week 2, but do 2 sets of 10 reps followed by a third set of as many reps as possible. Again, start a set every 2 minutes. Weeks 4-6: keep adding one set per week, stopping at 10 reps per set and doing as many reps as possible on your last set. If you fail to get 10 reps on any of the sets, doing worry about it, just do as many as you can up to 10. By the 6th week, you will have built up your volume to 6 working sets per exercise for 6-8 exercises. Your sessions will take 1.5 to 2 hours to complete with the short rest periods recommended. That’s quite a bit of volume and will provide the stress needed to build plenty of muscle mass. Weeks 7-10: if you’re feeling good you can repeat week six (6 sets per exercise), but if you start feeling burned out or experience joint issues I recommend taking a short break and then starting over with week 1. You should have gotten stronger over the cycle, so start the next cycle with a bit more weight. If you make it through week 10, definitely end the cycle, take a short break, and start over with week one. You may repeat the 6-10 week cycle indefinitely with great results. Cycling in this way will allow you to benefit from high volume without burning out and with low risk of injury. If you do more than 2 or 3 cycles, I recommend changing the exercises to keep things fresh. Good luck!